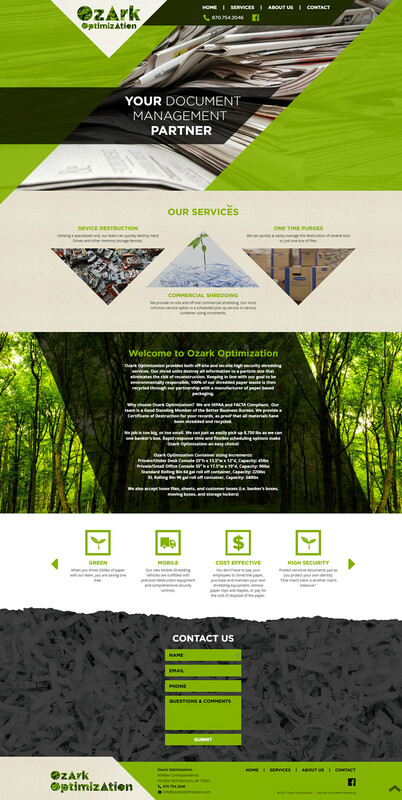 We worked with Ozark Shredding to create a one-page website that shows who they are and what they do. The page highlights their services while also offering a clean and clear contact form at the bottom. The website was also updated to be mobile-friendly and to display their environmentally friendly branding. Ozark Shredding provides both off-site and on-site high security shredding services. Their shred units destroy all information to a particle size that eliminates the risk of reconstruction. Shredded paper waste is also recycled.